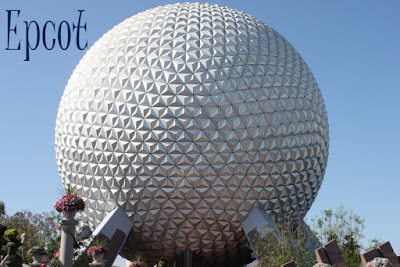 Today (Wednesday) we went to Epcot. 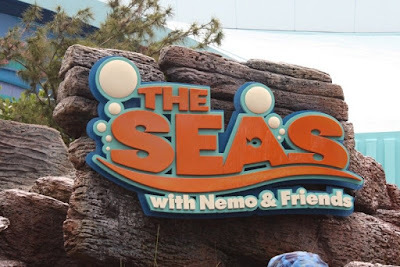 I must confess that in the past this has not been a park i liked and honestly i was not looking forward to it... i just find the country stuff so boring and there is not that many rides so i was thinking the kids were not going to enjoy it either but I really enjoyed this park and so did they. It was cooler and not near as crowded and we saw tons of characters. The kids enjoyed making those mask at each country too. 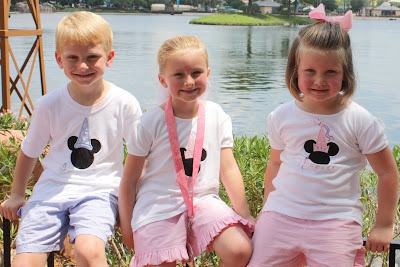 Here we are before leaving to go get on the bus and head to epcot... the only clean outfit picture of the day! 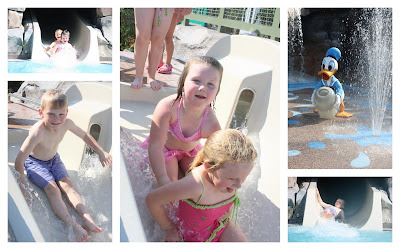 We went and ate breakfast at Norway with all the princesses. Jackson and Pap Pap did not go they went and rode the test track several times and went and did "boy stuff" and met us after breakfast. 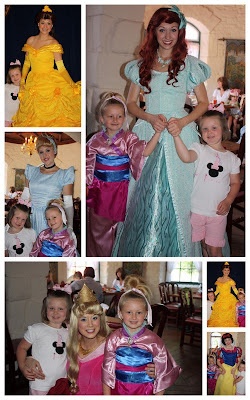 Brylee and Olivia (my niece) loved seeing all the princess! 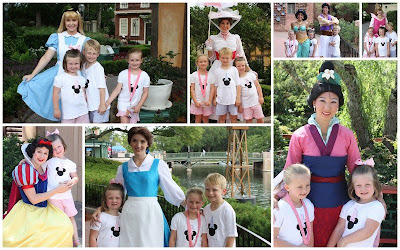 After breakfast we walked around the park and hit all the character spots to see more of the characters. We were waiting in line for Snow White and when she came out she walked up grabbed brylee's hand and just walked off with her and started talking to her... it was so sweet and brylee of course was in ahhh! 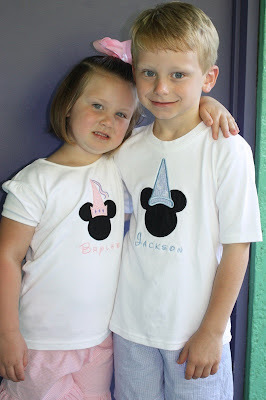 Jackson also met back up with is and saw some of these characters too. 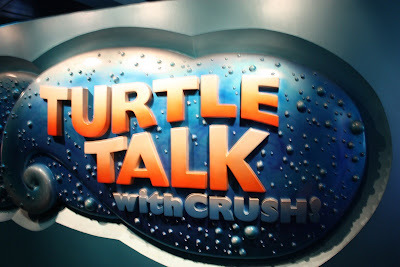 We also rode The Nemo Ride and did Turtle Talk with Crush! 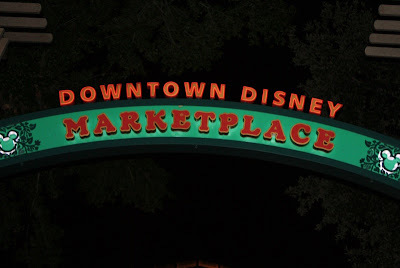 When then headed back to get dressed for dinner in Downtown Disney! 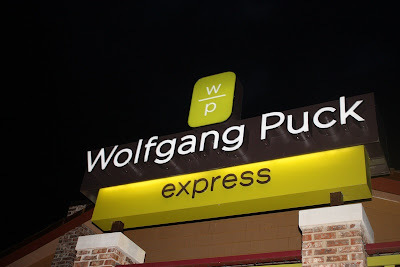 We ate dinner at Wolf Gang Puck Cafe' not to be confused with the restaurant! The food was really good... best mac and cheese! It is also a counter service and they have BIG portions! 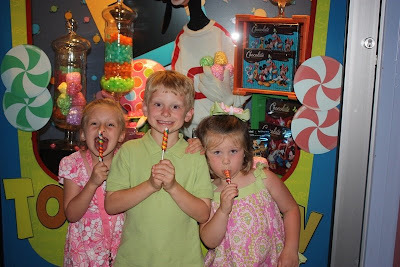 After dinner we took the kids to Goofy's Candy Store. 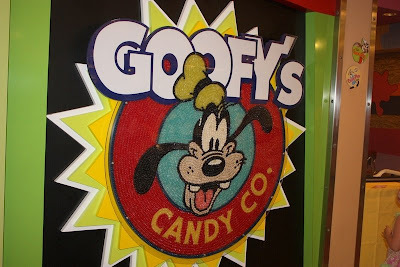 It was way cool... all the mickey shape candy you can imagine! Enjoy the suckers... bought be the suckers!!! Can we say sugar high! 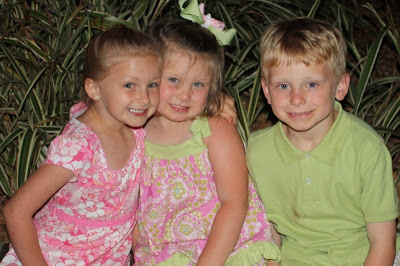 It was a great day and night with lots of fun times and memories made with cousin olivia and family!